The JK MegaTri has been designed for Hams looking for contest grade monobander yagis combined on a single boom. 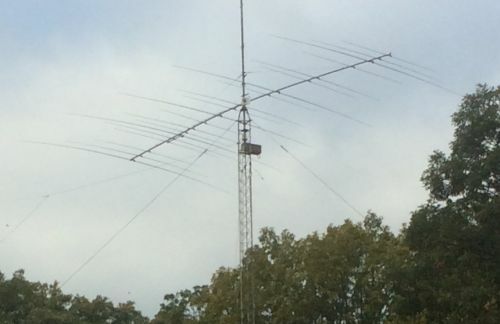 This MegaTri antenna has 5-elements on 20M to produce a 10dbi freespace gain, 6-elements on 15M to produce 11.25dbi freespace gain and 9-elements on 10M to produce 12dbi freespace gain. As usual the elements are rated at 100-mph wind survival as well as the booms. The rugged and robust construction of this antenna will make it smile at the winds.